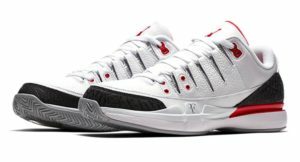 If you were waiting on the European release to cop the RF x AJ3 we’ve got some good news and some bad news. Resale for the RF x AJ3 has plummeted as demand dwindled, but grabbing a pair at retail will have to wait. The European release scheduled for Sunday September 10th has been pushed back. Only 15 minutes until the Air Jordan 1 Retro Flyknit Banned release!